Are you experiencing any gas, bloating, acne, excess mucous production, cravings, brain fog, or uncomfortably painful cramping after eating? I know I certainly had all these symptoms of poor gut health and food sensitivities and it’s a miserable journey! At the time, I was 3 years deep into competitive CrossFit, crushing 300g of carbs on a daily basis, and stressed to the max with all my obligations and responsibilities. Perfect storm in developing leaky gut and food sensitivities. The list of foods I couldn’t tolerate was long and complex. The caffeine, alcohol, sugar, dairy and gluten were obvious culprits. But the others mystified me: squash, turmeric, eggs, pumpkin, peanuts, raspberries? Weren’t these considered healthy foods? What I didn’t understand at the time was that, this was a temporary elimination of foods… not my “forever” diet, as I understood it to be. I dutifully eliminated the foods and was horrified that things got worse before they got better. My acne flared to the worst it had ever been. It seemed like my guts were even more distressed. Talk about no incentive to keep eating such a restricted diet. But I persisted, and once I made it to the other side of the healing process, my skin calmed, the bloating stopped, the painful cramps faded. I was amazed – my eyes were completely opened to the power of food and healing. Within 6 months, I am back to eating pretty much normally for me, including the list of foods that I was sensitive to. Although I do continue to do my best at removing processed foods, gluten, alcohol, and caffeine, they still sneak in here and there. But now that my gut health has healed, I am able to handle a few incidents here and there. The best part, though is that my skin remains clear and I have more good digestion days than bad. So let’s talk about food sensitivities. What are they? Do they even exist? How do you know if you have them? What do you do about it if you DO have them? Food sensitivities have the potential to cause inflammation in the body. This inflammation shows up as symptoms like headaches, joint aches, gas/bloating, skin issues, etc. Food Sensitivity – there are multiple mechanisms for a response (IgG, IgA, IgM, etc) some originate in the immune system (what we call an “immune-mediated” response), some happen directly in the cell without direct involvement of the immune system (what we call a “cell-mediated” response). Regardless of the route it takes in the body, the end result is the release of mediators – histamines, cytokines, and prostaglandins – that cause inflammation. And this inflammation can affect many different parts of the body. The tricky part is that food sensitivity reactions can take up to 3-4 days to show up as a symptom in your body. Almost impossible to eliminate all the foods through an elimination diet. This is where the wild world of food sensitivity test. How does a food cause symptoms? 1. You eat the food that you are sensitive to. 2. Your immune system recognizes this food, perceiving it as an invader that you need to be protected from, rather than as nutrients that need to be assimilated. 3. Your immune system mounts a defense against it. It mobilizes your white blood cells, antibodies and other immune components to protect you from the “invasion” of this offending food. 4. Your immune system releases mediators – histamine, prostaglandin, and cytokines primarily – to deal with the invader. 5. In the course of protecting you from the offending food, the mediators cause inflammation. It’s this inflammation that you experience as a symptom. Where you experience the inflammation is going to be specific to you. For me it was my skin, for others it can be migraines or joint pain. But how does an ‘innocent’ piece of food mount an immune attack? If for whatever reason there is any dysfunction in your digestion such that the food is not properly broken down (maybe you’re not chewing your food properly, or you don’t produce sufficient stomach acid or digestive enzymes), or if the lining of the small intestine isn’t sound and the tight gap junctions have opened up too much (leaky gut), then particles of improperly digested food can pass directly into the blood stream. It might have been the healthiest, most seasonal, organic, properly prepared dinner, but if it’s getting into your bloodstream prematurely or in an improper form, your body won’t recognize it as a nutrient for assimilation, but as an invader. Over time, your body will come to recognize the common invaders, and develop a memory of them. As soon as it encounters the invader, your immune system is primed and ready for attack. And thus a food sensitivity develops. So can you test for these things? YES! However, there’s no such thing as a perfect test. Each test will focus on a specific mechanism (IgG, IgA, IgM, mediated T cell reactions) or a combination of a couple. The most common food sensitivity test is testing for IgG antibodies. There are a few issues with this type of test. First issue is that there’s a possibility of false negatives because you are missing a the IgA, IgM, and mediated T cell reactions. Second issue is that elevated antibodies does not necessarily mean the end result is inflammation, it could be a part of the normal immune system house-keeping routine. Another issue is that to have antibodies to certain foods, you need to have eaten those foods within the last 7 days AND you need an immune system strong enough to mount a response. It’s not always realistic to meet these standards. Lastly, food sensitivities shift. There might be one food that is causing inflammation right now, but you should be able to remove it, work on healing your gut, and then reintroduce the food back in without the end result of inflammation. The recommended time to take foods out that you’re sensitivity to is about 3-6 months. We shouldn’t be forever removing foods, with exceptions to highly inflammatory foods like gluten, casein, alcohol, and caffeine, which may still need to be limited. This means that there are more benefits of looking at the end result symptom of a food sensitivity rather than just looking at the antibodies created form the food eaten. This has been shown by a large body of research that confirms elevated mechanisms in food sensitivity, such as food-specific IgG, IgE, or other immune complexes, do not reliably correlate with inflammation or symptoms. By looking at the mediated result of the food sensitivity, we can see what foods are causing the reaction, in this case, inflammation. What matters clinically is that mediator release, and thus an inflammatory response has occurred – not that a potential mechanism is elevated. Everlywell Test – IgG mechanism-specific blood spot test. This test does not give us the full picture of what foods and chemicals are causing an immune / inflammation reaction. KBMO FIT Test – IgG and immune complexes blood spot test. Most accurate of the IgG tests. 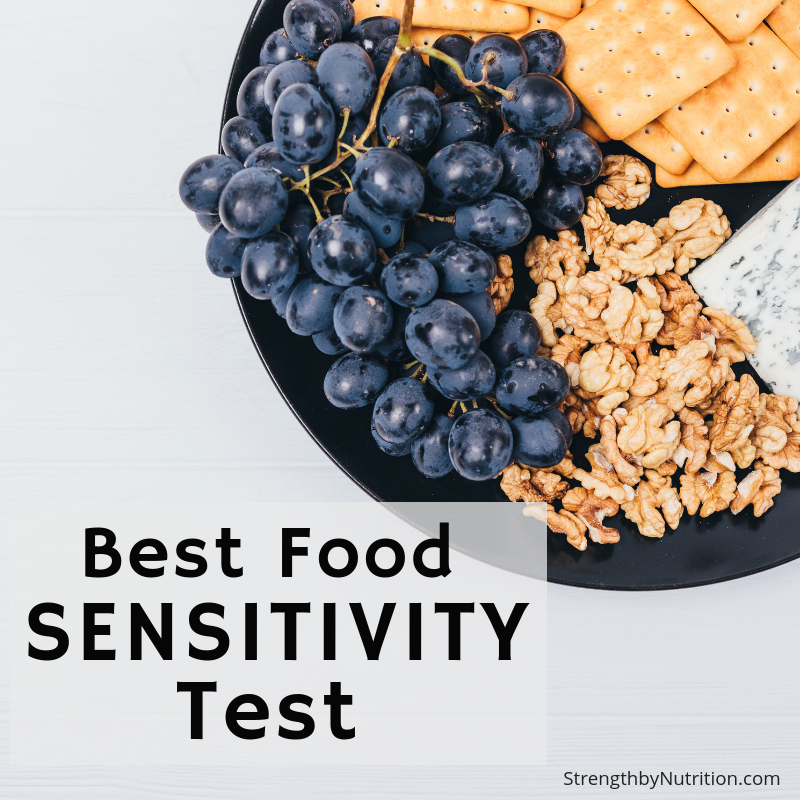 Unfortunately, when it comes to the more complex category of food sensitivities, this tests also does not give us the full picture. MRT Test – mediated response test. Need approximately 5 viles of blood drawn and tests 150 different foods and chemicals. It is 90% accurate and recognizes that there are certain chemicals found in some foods either naturally or added through food processing that can trigger adverse reactions. It is based on physiological principles that are broadly supported in the scientific literature and by published studies. Skin Prick Allergy Test – tests for IgE for identifying food allergies, but only 40-60% accurate for identifying food sensitives. This test is most commonly used by medical professionals. In this type of test, the skin is irritated with the specific antigen (beef, egg, and so on). If there is an allergy, then the immune cells will release histamine, which will appear as a red inflamed area on the skin, much like a mosquito bite. 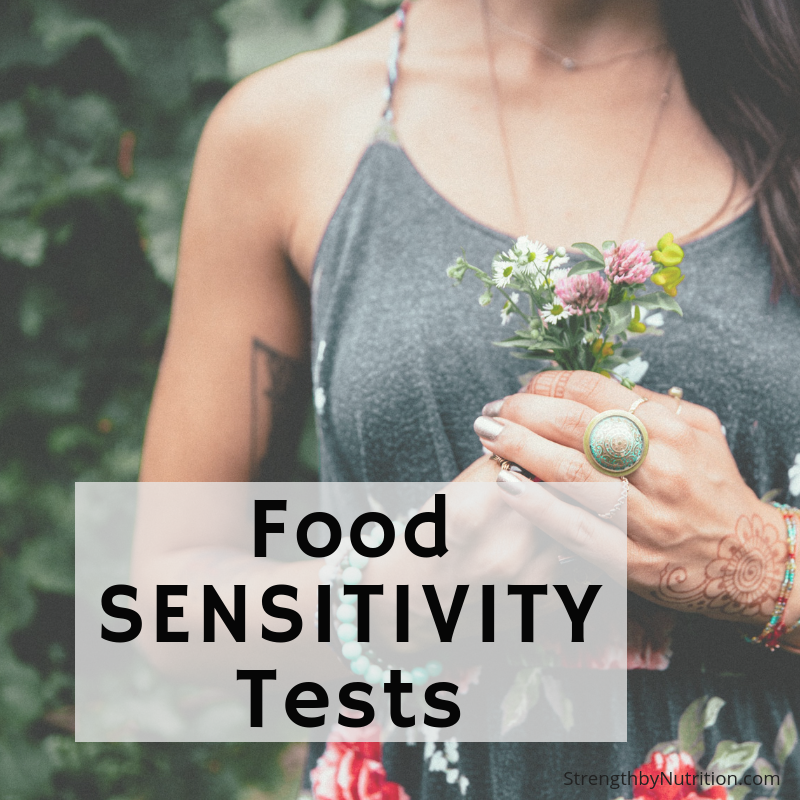 Using food sensitivity tests ALONE will give you some relief in the short term, until you develop a whole new set of food sensitivity tests. You see, if we simply remove the trigger foods from the diet, we’re alleviating the damage in the short term, but we’re not actually getting to the root of the problem, which lies in the digestive process: why is improperly digested food getting into the blood in the first place? Until we address the environment of the gut (what is allowing these food sensitivities to take place), then we won’t be addressing the underlying cause of the sensitivity in the first place. We see this with some people ‘addicted’ to food sensitivity testing – they’ll take a test, remove those foods, then the symptoms come back so they take another test, remove those foods as well, until eventually they are left with spinach and beef as the only foods they are able to tolerate! This is completely unsustainable, so the key is to never do food sensitivity tests on their own. It has to go along with proper gut healing protocols. When paired with gut healing, removing food sensitivities can be a powerful and integral part of the healing process. Alone, both of these strategies – gut healing and removing food sensitivities – are moderately effective. Together, they have the power of completely removing the negative symptoms caused by food sensitivities. Do You need to restest? With an MRT, usually not. Analogy of wound on the arm, dragging across brick wall, it’s going to reopen wounds. If the arm is healthy, it can handle a little bit of dragging across the brick wall. Retesting with the stool test, yes! GI Map Test by Diagnostic Solutions. Looks for genetic evidence for things that are ‘not you.’ They aren’t looking for anything alive, per say, instead they are amplifying the DNA of the organisms present. Expect to spend $700 for these 2 tests done together. To find a practitioner in your area who is trained to order these labs and interpret your results, click here. Identify food sensitivities using the MRT test. Determine the health and function of your digestive system. How well is it working? Are there factors such as parasites, fungal overgrowth, or imbalances in your microbiota that are blocking your body’s ability to heal? Specific stool tests like GI MAP are best. Heal the gut, while eliminating food triggers. This is work you’ll need to do under the guidance of a qualified practitioner – for true healing you need to be very specific and targeted – generic protocols just don’t cut it. To find a practitioner in your area, click here. Reintroduce foods 3-6 months after your symptoms have abated, progressing very slowly to ensure each food is no longer a trigger for you. Now, this process is very technical and really something that you’ll need to work through under the guidance of a qualified health practitioner. I wish I could say it’s a DIY protocol – but the testing involved, the interpretation of those tests, and the development of a healing protocol both from a dietary and supplement perspective are very technical and , in my opinion, are an art form. Have you tried a food sensitivity in the past? If so which one did you use and what were your top reactive foods?